A sweet little card for a sweet little baby. :) My friend (and fellow demo) Jessi just had her first baby, a little boy named Noah. I'm excited to meet him, and of course I had to make a card! 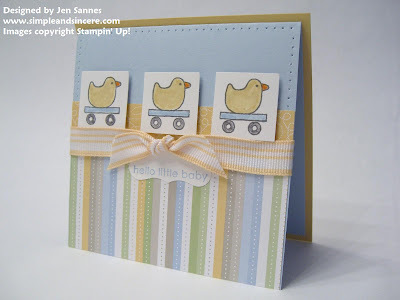 This was a quick and simple card to make and I had some fun with those cute little duckies.